Each week the PC Gamer team cooks up the hottest takes, right here in the office. 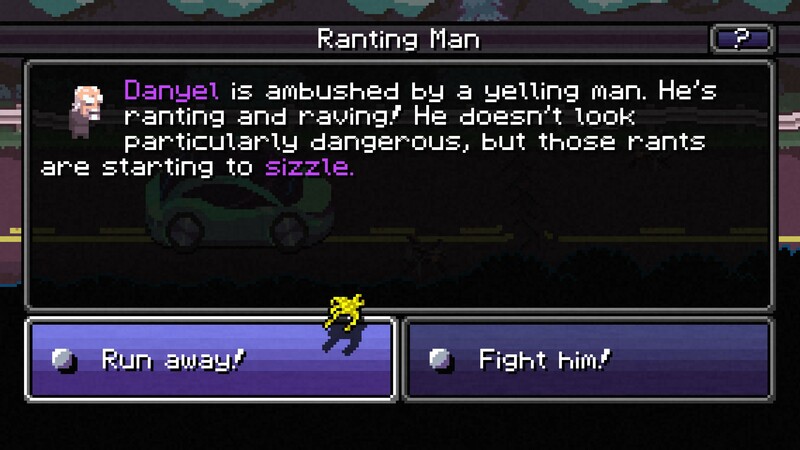 Death Road to Canada just came out today, and it’s already charming the heck out of me. 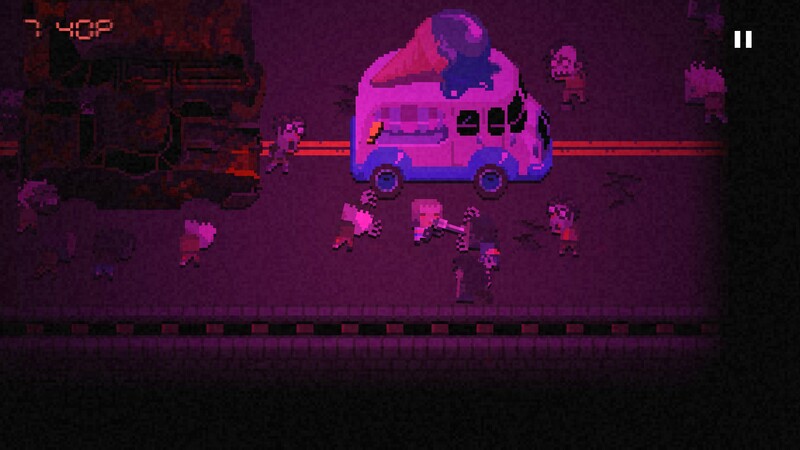 Although there have been other games that throw Oregon Trail’s ideas into a zombie apocalypse, like some of the best roguelikes (Dungeons of Dredmor being another), Death Road balances its difficulty with a ton of humor and a lighthearted soundtrack. Whenever you lose a party member to zombie death or an unlucky event, there’s some gag or funny line there to break the tension. 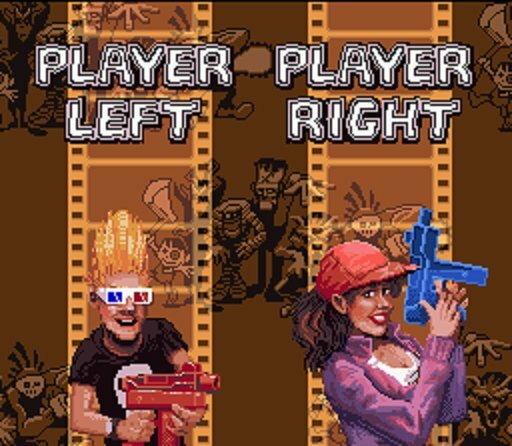 I also love that you can create and save custom characters—I re-created the duo from Zombies Ate My Neighbors. It’s summer in this part of the world. Know why I like summer? 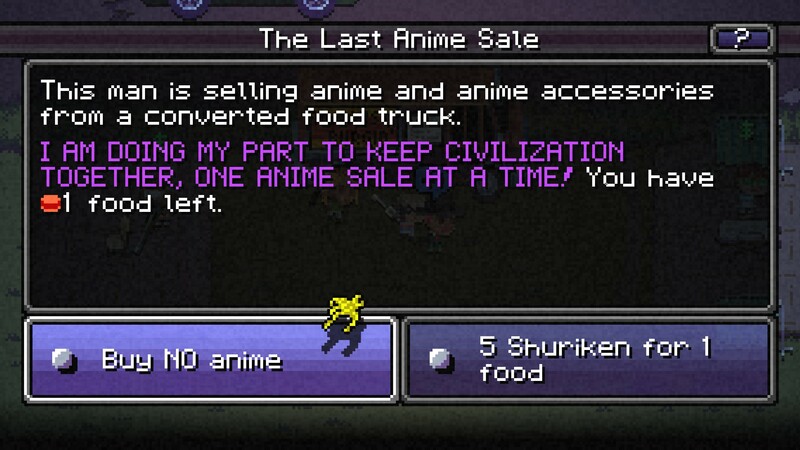 People stop releasing games all the time so I can catch my breath on all the stuff I foolishly bought during past Steam sales, while also consuming a lot of white wine. This year, the one month between Inside’s release in July and No Man’s Sky in August is all we’re getting to clear our Steam backlogs. Number one on my list? Doom. I played three hours of it last night, and it made me realise how much I missed the days when people made great single-player campaigns. Kudos to Bethesda for still doing them. Between this and Wolfenstein: The New Order, I can’t fault the job they’re doing on this front. Doom’s pace and somewhat classic-feeling level design make this feel like a Doom game, but the Glory Kill system dials up the game’s incredibly satisfying and varied melee attacks. Sometimes you just need to see lots demons die really fast, you know? It just makes everything that little bit better. On the topic of Doom, check out Jarred’s verdict on Doom’s Vulkan support. “Goddamnit I need three onions right now!” “What the hell is happening with the plates? “How the f*ck do none of the pans have meat in?” “TOM WHERE ARE THOSE ONIONS?” You might think you’ve experienced seething workplace rage, but you really haven’t until you’ve played Overcooked with the PC Gamer team. It’s a local multiplayer game that we’ll be reviewing on August 1st, but suffice to say I’ll be surprised if it doesn’t end up in our list of best living room games. The clean, cartoon visuals, and top-down camera scream casual game, but honestly—honestly—there’s a surprising amount of strategy here. Plus, y’know, fun! Simply subdividing the chopping, cooking, and serving tasks isn’t enough to succeed. Each map is its own little weird time/motion study, thanks to the shifting scenery and other dynamic obstacles. You might be able to cook, son... But can you cook IN THE DARK? My favourite moments have been in the lull after we catastrophically fail a level. Everyone’s looking sadly at their controllers, but then Evan hits pause and starts issuing instructions for a bold new strat. “What if we put all of the pots in the same place?” I swear to god at one point I thought he was going to draw on the TV in magic marker. And god help you if you don’t follow his call outs. That boy has played a lot of Arma. Joe Donnelly: Summer sun? It’s not begun. It may be summer in Sam’s corner of the UK, but, regardless of what the Met Office tells us, it doesn’t feel like the warmest season of the year up here in Glasgow. We had one nice day of weather this week, but it’s currently lashing it down as I write this—which suits me fine as I’ve just bought a new PC and plan to spend the weekend indoors anyway. After consulting our guides, I opted for a GTX 980 GPU which means I’ve been able to enjoy games on Ultra setting without any hassle for the first time. Suddenly, Novigrad looks absolutely stunning, the Los Santos sunset takes my breath away, and I can almost smell the pizza in the sun-kissed streets of Sapienza. Hang on, is that Gary Busey? Anyway, one game which was almost unplayable on my old desktop was The Evil Within, so I’ve decided to dive back into that. It’s running like a charm and looks spectacular. I can’t tell if that’s a good thing, though, because now I can’t sleep at night. Following my review of Lovely Planet—which I thought was great—I considered creator Vidhvat Madan to be something of a rising star in movement and level design, and kept on eye on what he was up to. But rather than review his latest—Lovely Planet Arcade, a sequel to Lovely Planet—myself, I decided to turn the floor over to James for a different perspective. I'm happy to see that James liked it, and that Madan was able to succeed while imposing even more limits on himself, changing the projectile weapon to a hitscan weapon and getting rid of Y-axis looking. I’ve only played a few levels so far, and I’m still skeptical that the changes are for the better, but I’m starting to like it more and more. I suspect Lovely Planet Arcade will be divisive—I’m already seeing some befuddlement at Madan’s approach to the FPS—but that only makes it more interesting to me. Straightforward, bold games like Lovely Planet are benchmarks for taste, in a sense. It’s always interesting to observe how people who typically like the same things can have wildly different experiences with the same game. Let's skip over the fact that Battleborn is in a bundle despite only being two months old, and celebrate instead that the Humble 2K Bundle 2 has some strong stuff. Spec Ops: The Line is an interesting, experimental story attached to a 7/10 third-person shooter. And the Darkness II is dumb but highly entertaining—an otherwise 7/10 FPS that's elevated to 8/10 because it's ridiculous and fun. Both are great Bundle fodder, and, if neither are in your Steam library, the main reason to jump into this deal. In the higher tier, Civ V is a rich, stately 4X, although benefits hugely from its two expansions, and Mafia 2 is certainly worth a look, despite being divisive among fans of the original game. Also, there's Duke Nukem Forever, a stale, white turd that spent a decade festering in a cupboard before being thrown out into the street. At least you can hide games from your Steam library these days.